CMO of Southeastern Grocers, Sharry Cramond will join us to discuss marketing the Winn Dixie brand. 89% of all advertising is ignored. CMO of Southeastern Grocers describes their methods of cutting through the noise. Sharry Cramond is executive vice president of marketing and communications for Southeastern Grocers, parent company of BI-LO, Harveys and Winn-Dixie. Southeastern Grocers serves customers in more than 750 grocery stores and 500 in-store pharmacies, as well as 145 liquor stores throughout the seven southeastern states of Alabama, Florida, Georgia, Louisiana, Mississippi, North Carolina and South Carolina. The company is based in Jacksonville, Florida. In this role, Sharry oversees the planning, execution and management of marketing functions to drive sales, build the brand and engage associates. She was recently named one of Hot Topics magazine’s 100 retail Sharry’s career began at Kraft Foods as a brand manager before she joined one of the world’s largest retailers, Tesco PLC. During her 12 successful years at Tesco in the United Kingdom, she held several key marketing roles, including the senior marketing role for the startup Tesco Bank, which now serves more than 7 million customers. At another Tesco venture, Tesco Telecoms, she led marketing and communications to develop Tesco Mobile into the fastest- growing mobile network in the United Kingdom. Sharry moved to Australia in 2009 to join Coles Supermarkets as senior vice president of marketing communications. Under her leadership, Coles developed several highly-successful marketing campaigns, gaining professional acclaim and strong customer recognition across the country. 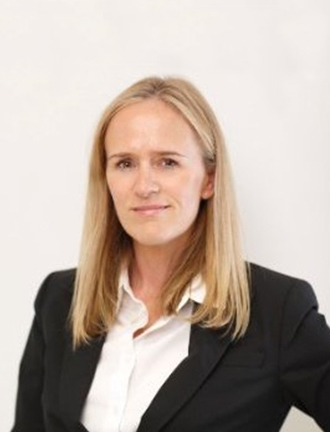 In 2013, after serving as senior vice president of marketing for Coles’ sister company, Target Australia, she rejoined Tesco PLC in the United Kingdom as senior vice president of marketing strategy and brand development. In that role, she was accountable for the international marketing and communications strategy for the Tesco group, working with Tesco businesses across Europe and Asia. Most recently, she led the Tesco marketing team in the United Kingdom, where she was responsible for overall brand positioning and all marketing communications in the company’s largest market. Sharry moved to Jacksonville with her husband David and their two young children (Charlie and Daisy) in May 2015.